The Metamorphosis is the spiraling decline of a salesman into the abyss. The protagonist of this work, Gregor Samsa, wakes up one day to find himself trapped in the body of disgusting creature not unlike an insect of some sorts. Franz Kafka depicts the thoughts and feelings of a man going through a psychological and physical collapse. His family and supervisor have already deemed him useless and the more he thinks about it the more disgusted he is from himself. 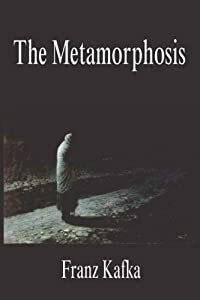 A philosophical work in its core, The Metamorphosis raises questions of being and existence, society and acceptance and self-esteem among other topics. The book is as dark and gloomy as it’s short and concise. A masterpiece. Recommendation: Highly recommended for dark novel and philosophy fans.